Itchiku Kubota’s works reach back to a mythic golden age of Japanese textiles. In 1937, a promising 20-year-old Japanese artist, Itchiku Kubota, paid a visit to the Tokyo National Museum. He saw a fragment of a 17th-century textile with imagery so vivid he stared at it for hours. The technique used to make it, tsujigahana, was lost to history. But Kubota vowed to recreate it in his own work. An exhibition catalogue of Kubota’s, and Kimono as Art: The Landscapes of Itchiku Kubota are both available on Amazon for very reasonable prices. A few more online photos of the exhibit can also be found here, where clicking on the thumbnails will open a “super-sized” view that gives a much better idea of the kimono in three dimensions. The Itchiku Kubota Art Museum has its own website, in Japanese of course. Up close, his work is awe-inspiring. Keep in mind he saw that tsujigahana fragment in 1937: “Kubota didn’t have an exhibition until 1977 simply because he wasn’t satisfied with his method until then.” Forty years later. I was able to find a video about tsujigahana dyeing, also in Japanese, that shows more common tsujigahana designs on kimono. 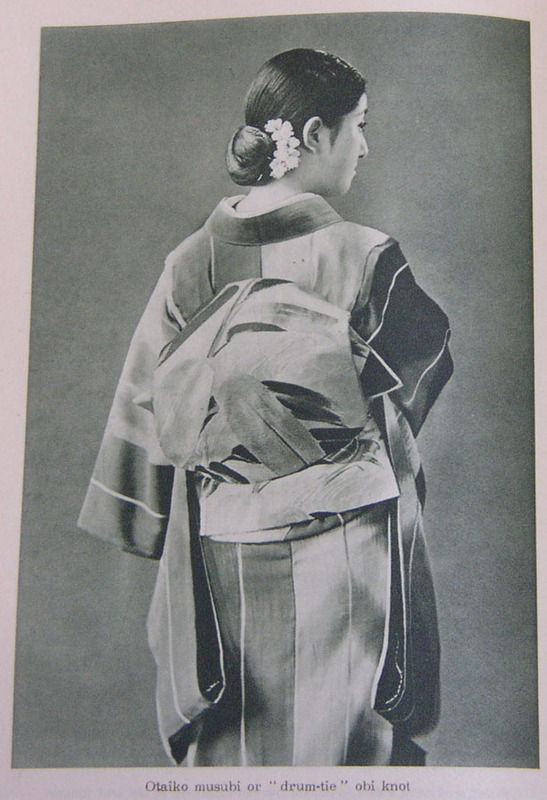 Mamechiyo doesn’t see the kimono merely as an art form on which to juxtapose modernity; back home she agitates for its revival as daily clothing. She says it’s enjoyed a renaissance in the past three or four years. For Mamechiyo (who has not seen the costume-Oscar-winning Memoirs of a Geisha), wearing a kimono is almost a meditative act. 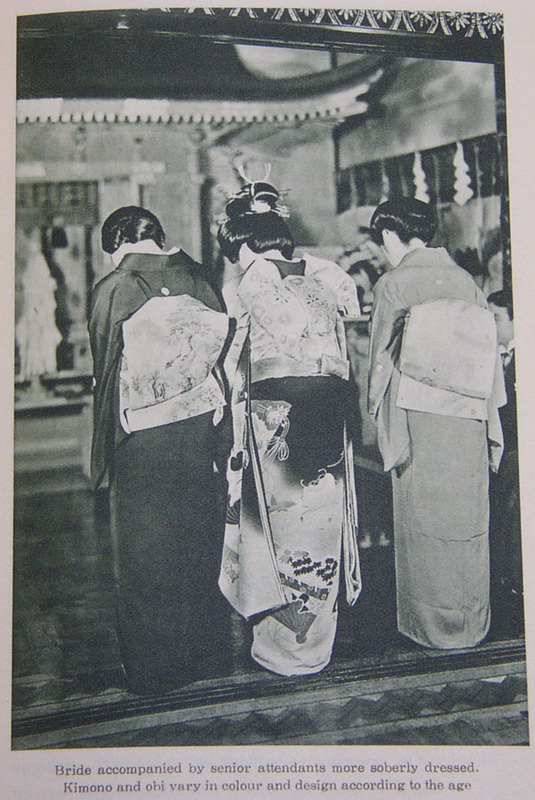 Although western-style clothes were gaining popularity among women, the kimono continued to be worn. The traditional cut of the garment remained the same, but the motifs were dramatically enlarged and new designs appeared, inspired by western styles such as Art Nouveau and Art Deco. Their striking patterns reflected the confident spirit of the age and provided an exuberant visual statement for the modern, independent, urban woman. Finally, costume designer for the film Memoirs of a Geisha Colleen Atwood recounts how she learned about kimono in How to get that kimono right. I appreciate that she ends with “a real purist of this would have a heart attack,” because on seeing the film’s kimono, I indeed did… :) However, reading about her discovery of kimono is nonetheless interesting! 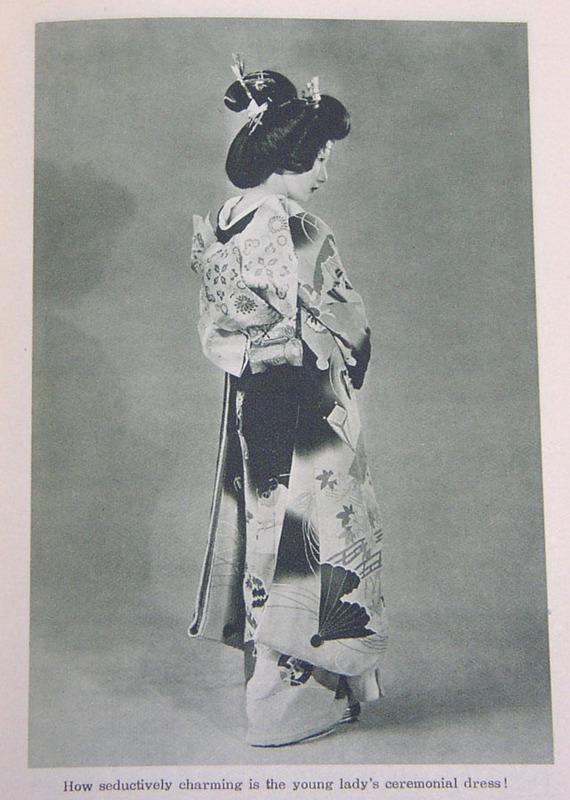 The book mentioned in the article is available on Amazon Japan: パリジェンヌの着物はじめ (Parisienne no kimono hajime). Another enjoyable article to peruse, this one with beautiful photos and a little information on symbolism: Kimono exhibit shows beauty of Japanese garment (exhibit in Colorado, USA). 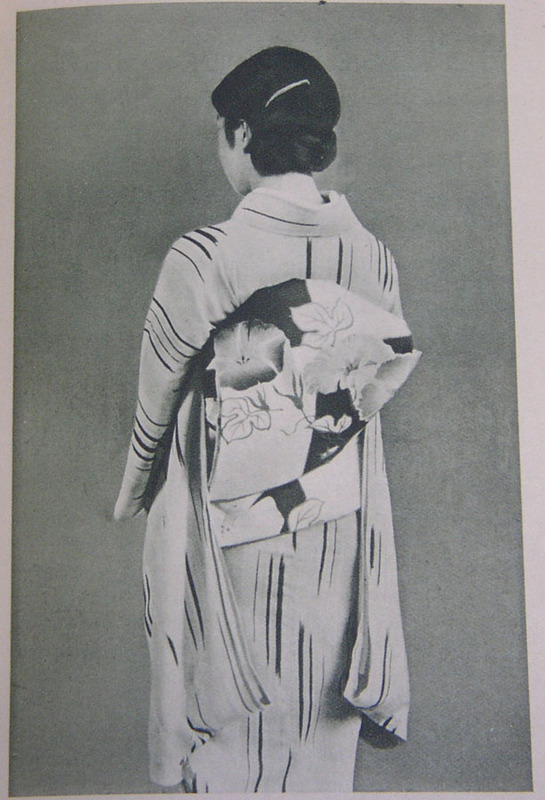 Kimono designs also tell a lot about the Japanese culture and history through the use of symbolism. Cherry blossoms and plum blossoms are typically used to symbolize spring and new life, Sparks said. “They were used by the Samurai warriors on their protective clothing because they were thought to be a symbol of courage,” she said of the blossoms that can typically be found braving the winter weather. 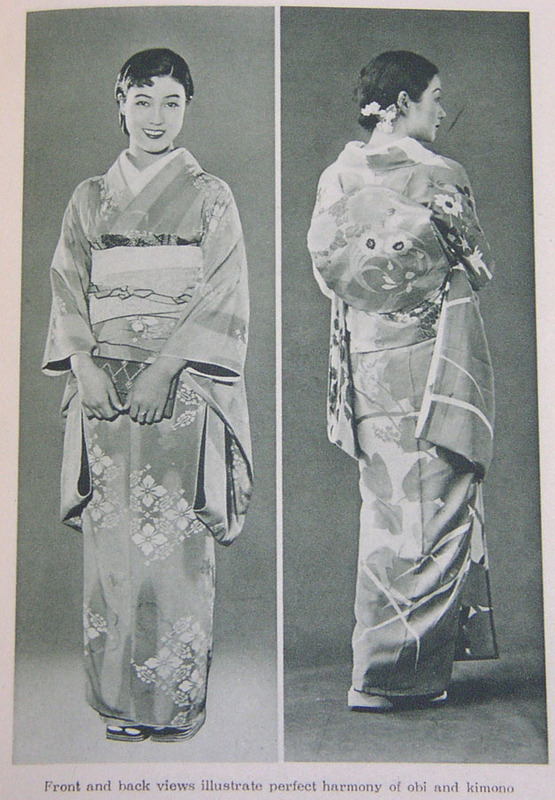 This exhibit illustrates kimono not only as a form of dress but also as a form of art and cultural expression, said Martha Denney, CSU director of international education. The guest carries a packet of folded papers on which sweets should be placed before eating. A special cake pick is used to cut and eat moist sweets but dry sweets are eaten with the fingers. Receiving a bowl of tea, place it between you and the guest and bow to excuse you for going first. Then put it in front of your knees and thank the host for the tea. Pick the bowl up, put it in the palm of the left hand and raise it slightly with a bow of the head in thanks. Turn the bowl so that the front, distinguished by a kiln mark or decoration, is away from the lips. Drink and wipe the place you drank from with your fingers. Turn the front of the bowl back to face you. Put the bowl down on the tatami in front of you and with your elbows above your knees pick up the bowl and admire it. When returning the bowl, ensure that the front is turned back to face the host. After symbolically purifying all the utensils, the host blends water with the tea using a bamboo whisk. There are two different consistencies of tea–koicha, which is smooth and thick, and usucha, thin tea, which is whisked to froth. After receiving the bowl, the guest places it in the left hand, steadying it with the right. The guest gives a silent bow of thanks and turns the “face” of the bowl away from his or her lips before drinking. 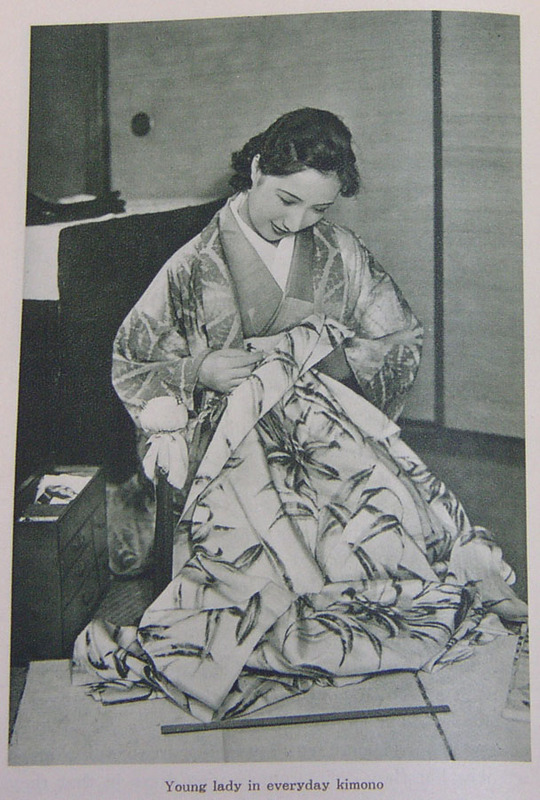 Keiko Kiyota acquired her kimono making skill in Japan in a four-year apprenticeship to a master kimono maker. Utilizing this skill, she began making Osaikumono in addition to kimono and exhibited her work at galleries and exhibitions in Japan. In 1999 Keiko moved to Vancouver and has been concentrating on Osaikumono as well as Oshie, exhibiting her work in the Vancouver area, and teaching classes. Osaikumono is a traditional craft from the Edo period (1603 to 1867) where flowers, dolls, animals, etc. are made from kimono material. Each was originally designed as a koto pick bag or incense bag. Oshie, another traditional craft from the same period, is a relief like picture again made from kimono fabric. Each piece is carefully hand sewn, stitch-by-stitch, making good use of the textures, colours, patterns of Japanese fabrics, including kimono and Obi. Author Kumiko Sudo has a wonderful book on osaikumono: Omiyage. I have this book and simply adore it. As I also found today, Sudo is coming out with another book of the same that looks absolutely lovely! Kokoro no Te (Handmade from the Heart).